View from tent. Not bad for finding camp in the dark. I’d like to say I am basically competent at traditionally protected rock climbing. 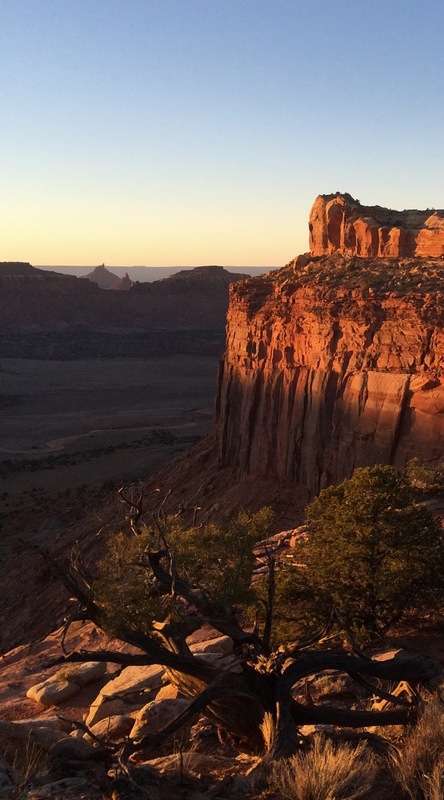 After my first few days in Indian Creek, Utah, I was not so sure. 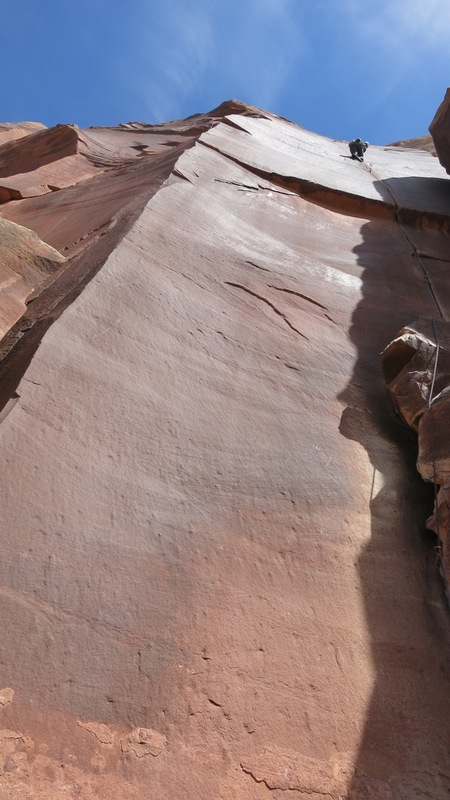 “The Creek” is popular for demanding excellent technique, harder than reported climbing, and a style that is painful and physical. Vertical wrestling might be more appropriate. I wanted to visit exactly because it was hard- it’s hard to get to, hard to learn, and hard to succeed. That is to say, I wanted the beatdown. My first few days felt like a real squeeze. 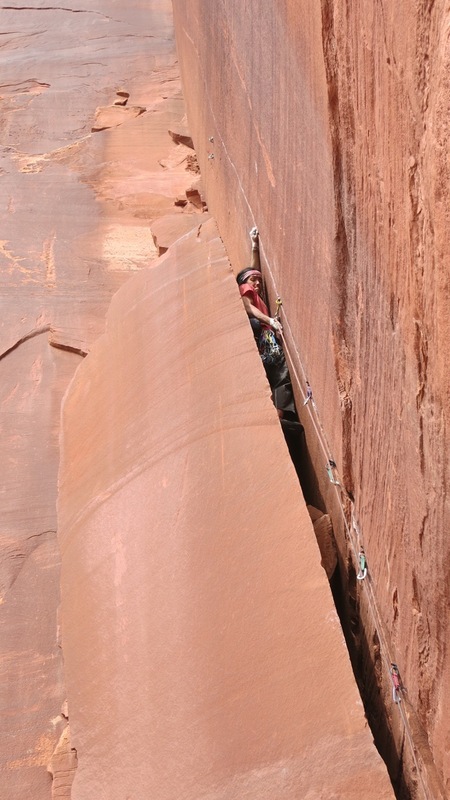 Leon from Ouray feels the squeeze as well on “Nice & Tight” at The Gash. By luck alone, I didn’t get into the Creek until after dark, but managed to wander into a little backcountry campsite with a couple of great people and one absolutely climbing legend. Not sure if it helped or hurt but I spent by first day at the Creek sharing a rope with Jim Donini (probably one of the best, most legendary, most old-school badass alpine rock climbers on the planet), and his 17 yr old mentee, Mickey (who has 7 El Cap routes under his belt). It takes some time, technique, and practice to get the style of hand and foot jamming dialed- I was deeply sore and deeply humble after the first day. I walked it off up on the mesa in the evening and resolved to try again. The master and apprentice. I am neither. Note the approach shoes on both, and the splitter behind. I am very grateful for the variety of camping and climbing partners I had over the next few days. They led. I followed, and struggled. Things came together. On day 3 I knocked on the window of Dave, who was reading his guidebook at one of the main parking lots. Asking someone to climb is a little like asking someone out on a date, except that going on the date means putting your life in the hands of someone you just met. I guess that makes it more fun? Dave, fortunately, was an ideal partner and fast friend. 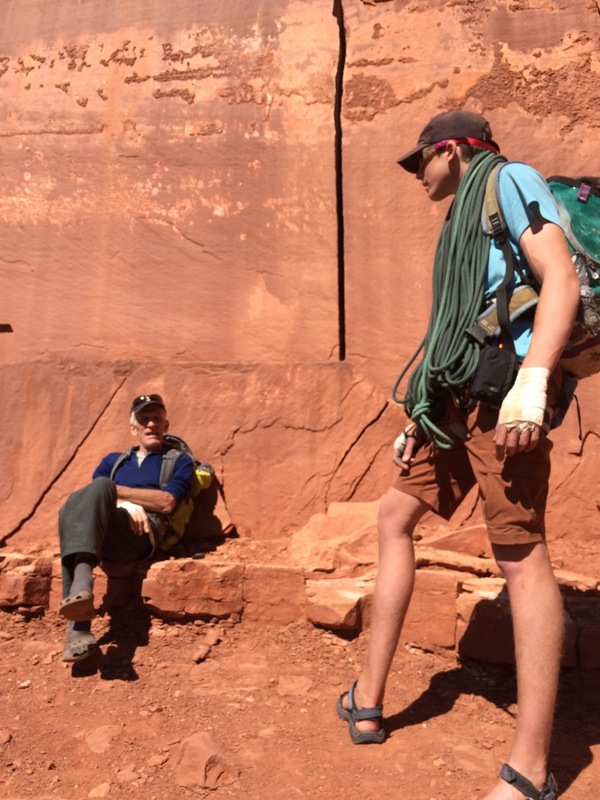 Encouraging and insightful, but very humble and very strong, he hung the rope on many hard pitches and belayed patiently while I slowly started to figure things out. Dave firing the upper section of SuperCrack (5.10c). Nice lead, sir. I only climbed 3 or 4 pitches per day those first days, and that was enough to leave me completely humbled. Even my first few beatdowns in Yosemite seemed gentle compared to Indian Creek. 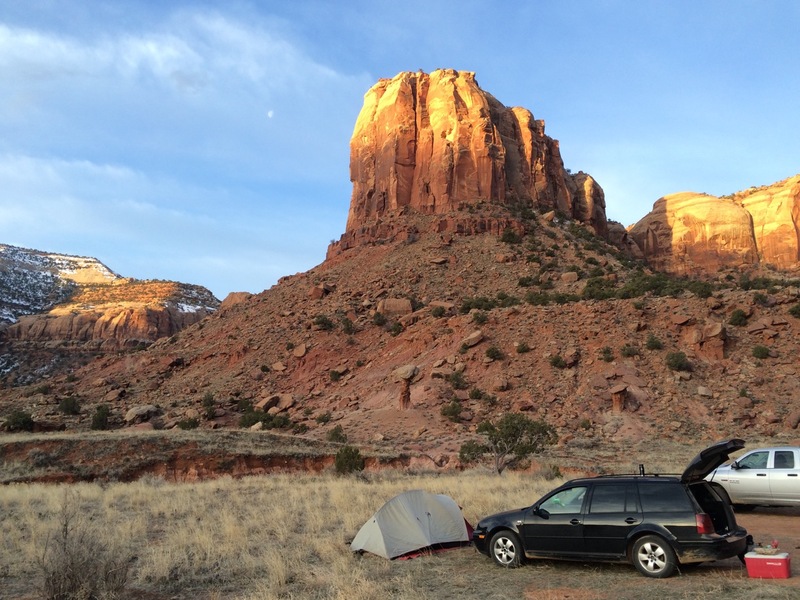 Friday, March 13, I headed back to Moab to lick my wounds and re-think things. This entry was posted in Uncategorized on March 31, 2015 by sticker1.